Plan now to be a part of the largest interdisciplinary conference in the world for rehabilitation research. 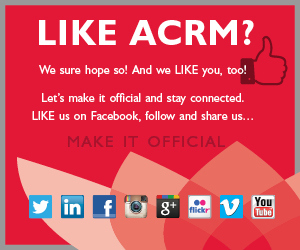 ACRM wants your research! Instructional Course Proposals CLOSED – Instructional courses may be proposed for a four-hour or eight-hour time block, allowing presenters the opportunity to discuss and present a topic in depth. Courses should be either instructional in nature, offering in-depth training or knowledge translation on a particular topic; or informative, providing detailed coverage of an area of research, methodology, or clinical practice. Symposia Proposals CLOSED – Symposia are 75 minutes in length, presented by professionals with expertise in the topic. Scientific Papers & Posters CLOSED– A scientiﬁc paper is a moderated oral presentation of 18 minutes including questions and discussion. Posters are graphic presentations of a scientiﬁc paper. If you have questions or need assistance submitting a proposal, please contact Maegan Criscione, or call +1.703.435.5335. DISCOVER an interprofessional platform where clinicians can inform research and cutting-edge, evidence-based information can inform best practices in clinical rehabilitation. The ACRM Conference attracts a passionate, interdisciplinary mix of rehabilitation pros from around the world. All proposals/abstracts must be submitted online via the Annual Conference System according to the submission deadlines. To see an outline of the information you will need to enter during the submission process, please download the Proposal Worksheets. Use these helpful guides to prepare your materials before logging into the Annual Conference System. Proposals that are interdisciplinary in nature, or include international or early career presenters are encouraged. Instructional courses may be proposed for a four-hour or eight-hour time block, allowing presenters the opportunity to discuss and present a topic in depth. Courses should be either instructional in nature, offering in-depth training or knowledge translation on a particular topic; or informative, providing detailed coverage of an area of research, methodology, or clinical practice. Courses may be scheduled as pre-conference sessions on 23, 24, or 25 October depending upon the length and level of interest in the topic. Instructional courses typically average about 18 attendees each, providing the opportunity for small-group interaction and hands-on activities. Each complete submission received by the published due date will be independently peer-reviewed. There should be no more than ONE presenter identified for Scientific Papers & Posters. Each abstract will be reviewed for the following elements: (1) scientiﬁc and clinical quality; (2) broad appeal to the interests of the ACRM membership; (3) interdisciplinary nature; (4) timeliness of the topic; and (5) contribution to the state-of-the-art of rehabilitation science. 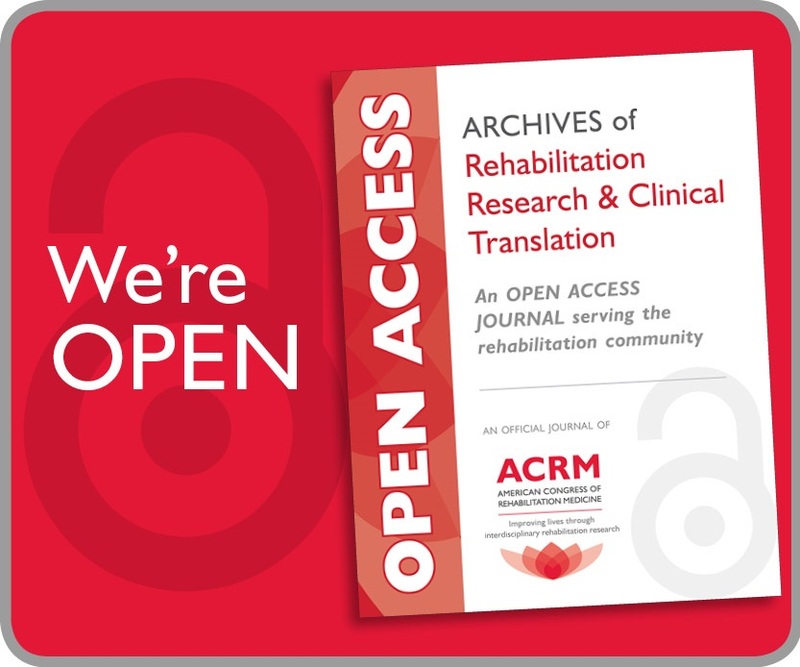 All abstracts of accepted papers and posters will be published in the online pages of the ACRM journal, Archives of Physical Medicine and Rehabilitation, where they will be fully searchable and citable. Archives is the most-cited journal in rehabilitation. ACRM | American Congress of Rehabilitation Medicine is dedicated to IMPROVING the lives of people with disabilities through interdisciplinary rehabilitation research. ACRM accomplishes this mission by welcoming and supporting ALL members of the rehabilitation team — including scientists, clinicians, administrators, counselors, therapists and others advancing the field of rehabilitation medicine. 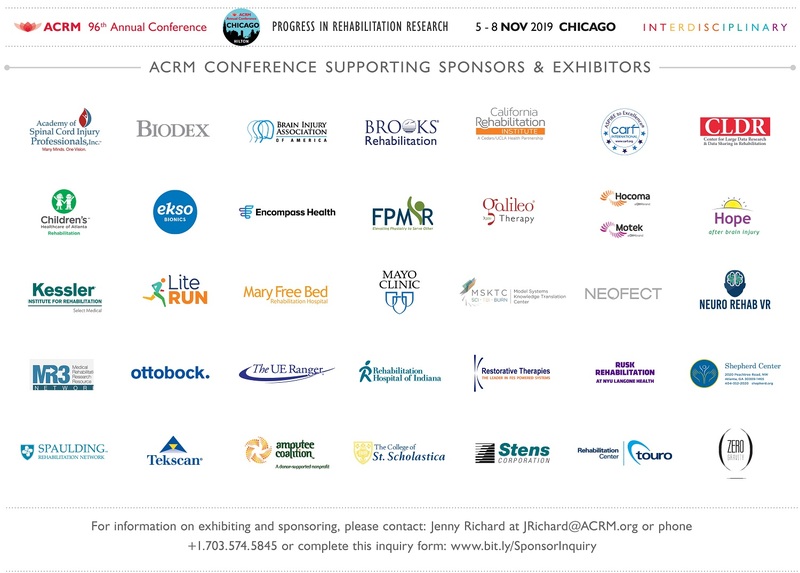 By providing a platform for interdisciplinary exchange through its 14 special interest and networking groups, ACRM supports research that promotes health, independence, productivity, and quality of life, and develops and promotes rigorous standards for rehabilitation research. 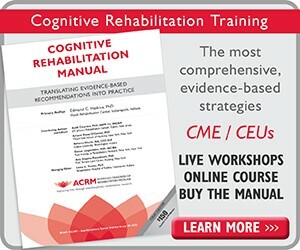 As the premier provider of evidence-based rehabilitation content, ACRM disseminates cutting-edge research and its translation into clinical practice through its scientific journal, Archives of Physical Medicine and Rehabilitation, the most-cited journal in rehabilitation; the annual conference, Progress in Rehabilitation Research, offering nonstop educational content in six core diagnoses and continuing education credit in more disciplines than any other rehabilitation conference; and through its websites. ACRM is a strong advocate of public policy and legislature that supports adequate public funding of rehabilitation research and patient access to effective rehabilitation services throughout their lives.